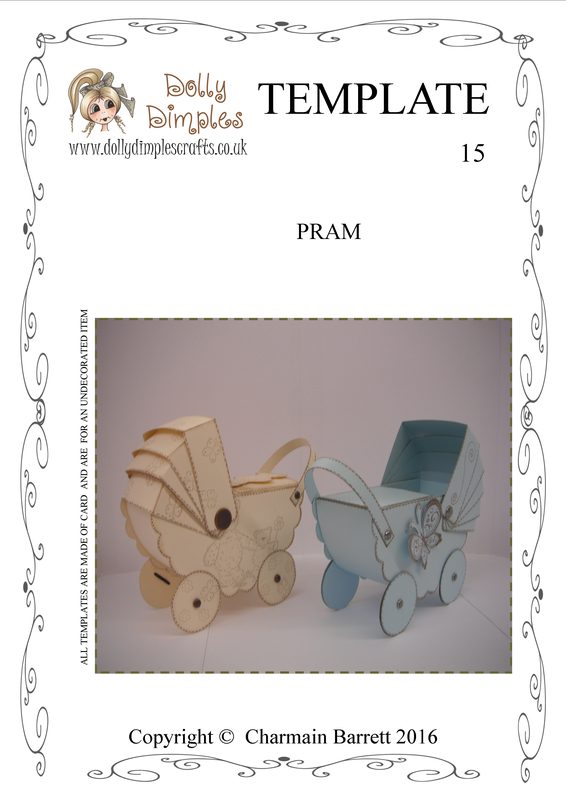 Template makes an undecorated pram which you can stamp or use fancy paper to decorate. There is enough room inside to put a little gift in. 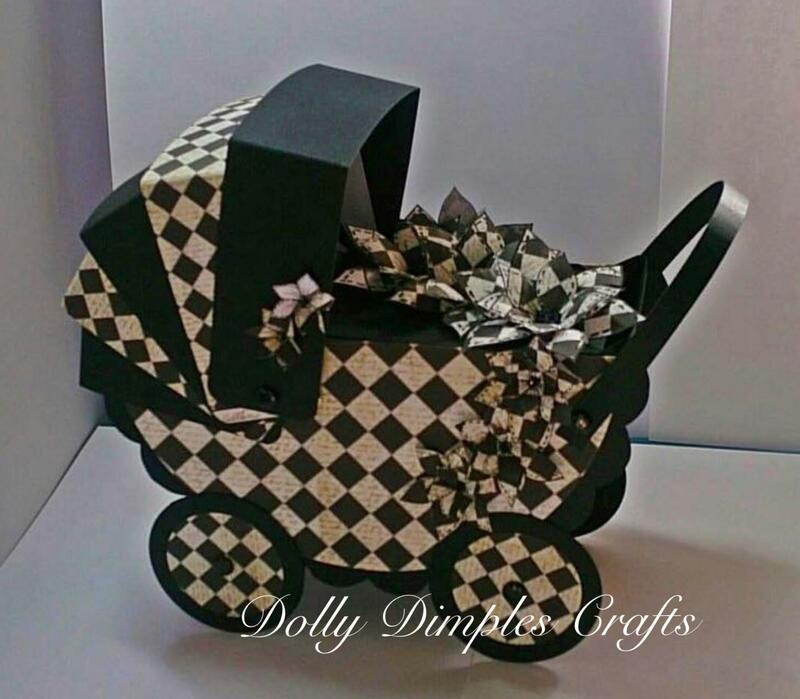 Made from sturdy card to use again and again.